Voted Coronado's Best Real Estate Agent 10 Years in a Row! 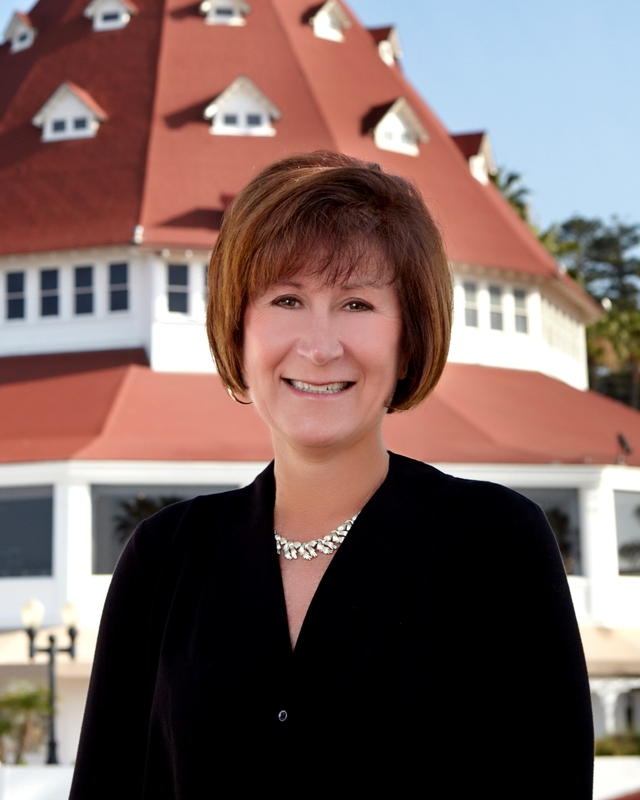 Ruth Ann Fisher, Del Coronado Realty's team leader, brings over 30 years of real estate experience and a wealth of in-depth knowledge to every client relationship. Loved by her clients, and widely respected among her colleagues, her exemplary service, professionalism and integrity set her apart. Focusing closely on her client's lifestyle, as well as on every detail of the sale, Ruth Ann provides the epitome in client care - routinely going above and beyond what is necessary to ensure absolute satisfaction. "The client comes first. My primary priority is understanding my client's needs and desires so they end up happy with the decision that they make," she says. "I give honest advice even if it means someone doesn't buy a particular home." Her devotion and conscientiousness have resulted in many of her clients also becoming her friends. As a military wife, Ruth Ann intimately understands what it takes to move - whether it's across town or across country. "We've moved 17 times in 22 years. I understand the stress, planning and financial commitment it involves. But the other thing that impacts my job as a real estate agent, are the adult responsibilities essential to a military career. That kind of lifestyle - the pride, integrity and sense of duty that come with being a military family--carries over into what I do." A Coronado resident since 1999, Ruth Ann has a broad knowledge of the Southern California real estate market and understands the special allure of a coastal lifestyle. As a dedicated member of the Coronado community, she is a visible presence in Coronado. Ruth Ann is actively involved with the Coronado schools, and has served as the President of Village Elementary's PATT (Parents and Teachers Together), on the Coronado Middle School site Council, and was a two time Silent Auction Chair for the annual Coronado Schools Foundation Telethon. Receiver of the Louis R Hardy Jr. Award by the Coronado Chamber of Commerce for significant business and Civic contributions to the City of Coronado. Del Coronado Realty CA BRE License #01909797 Headed by Ruth Ann Fisher CA BRE License #01281432, a licensed real estate broker.